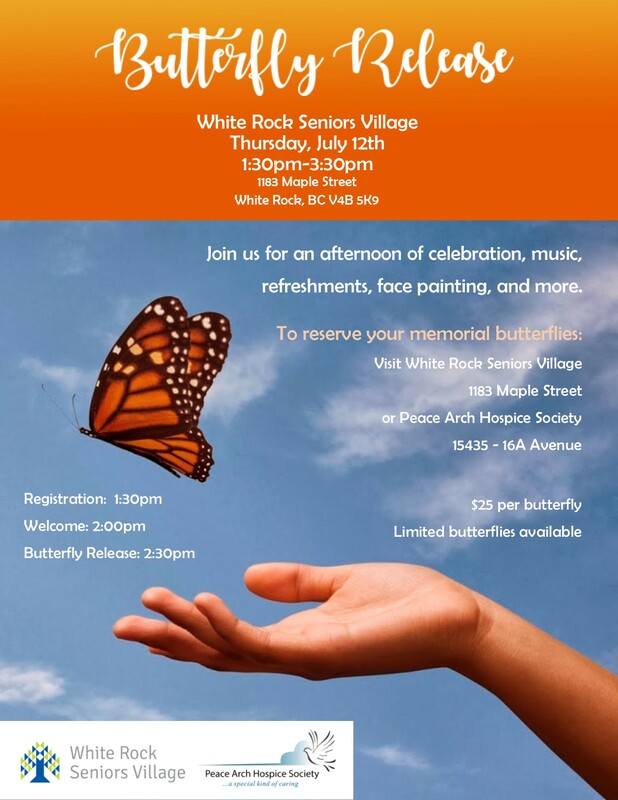 White Rock Seniors Village is having an afternoon celebration and you are invited to release your very own Butterfly in memory of someone you love. 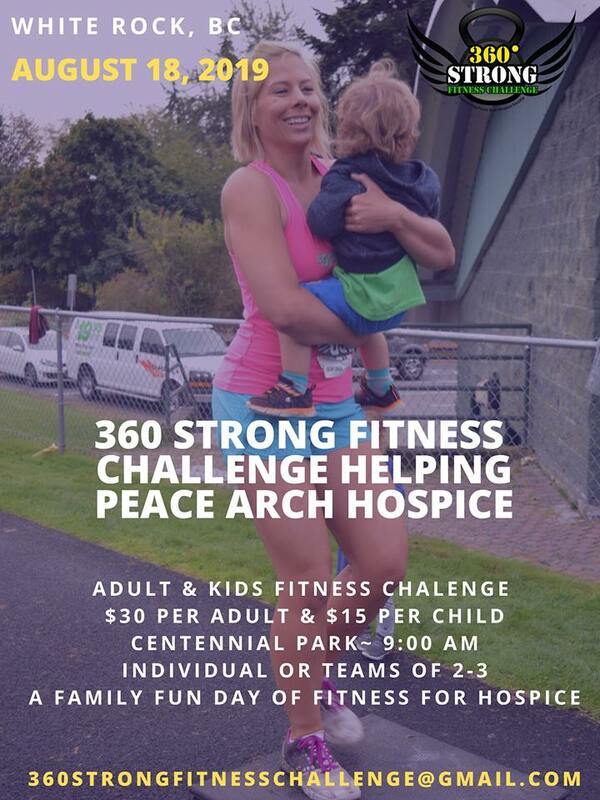 Proceeds benefiting the Peace Arch Hospice Society. Hope to see you there! 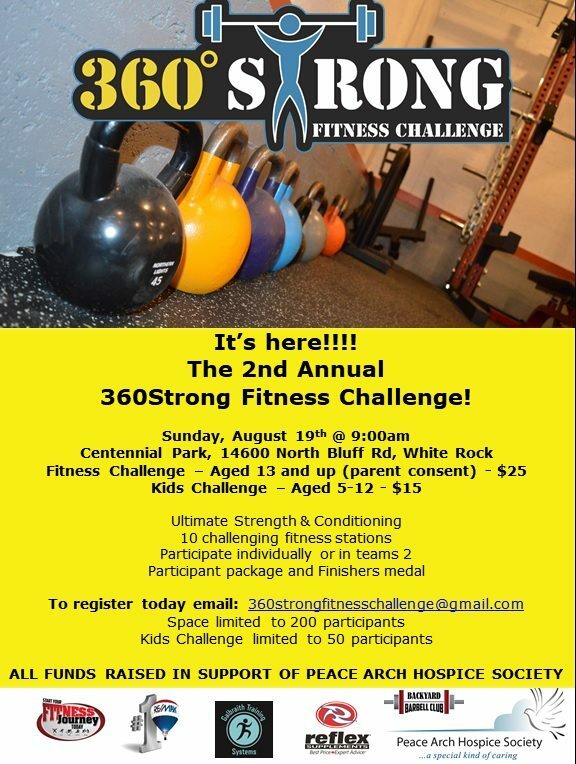 Join us at the 2nd Annual 360 Strong Fitness Challenge hosted by Galbraith Training Systems at Centennial Park. 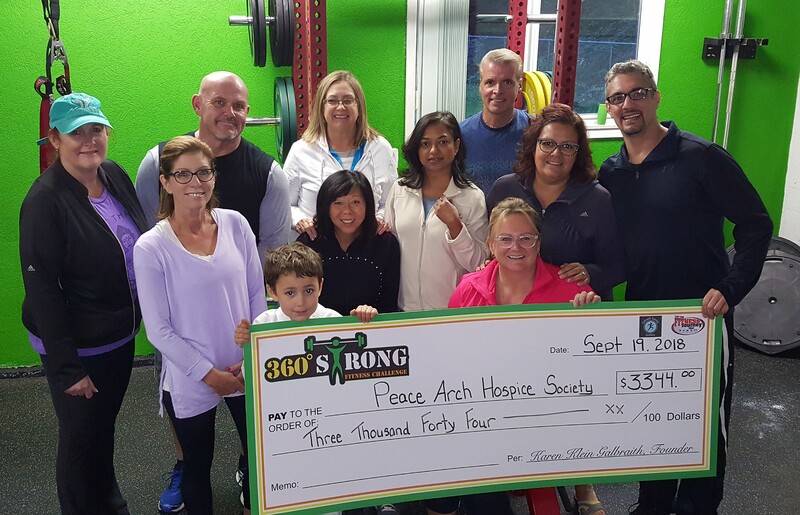 The Fitness Challenge is open to people 13 years and up and there is a special Kids Challenge too for those 5 – 12 years. Come show us what you got!